* Total four person need to share bathroom & toilet. 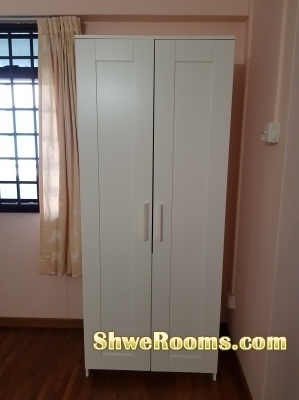 * Fully Furnish with Mattress + Bed Frame, Wardrobe, Ceiling Fan & study table. * Air-Con will be available 9:30pm-6:30am everyday. * High floor, Lift Level, windy, good lighting, neat and clean. * Renovated flat with parquet flooring. * Can cook but need to keep clean the kitchen after cooking. * The most neat and tidy person are Welcome. * Pls feel free to contact at 96791907,83222064. * Thank you so much for viewing my post.